Planmeca is pleased to announce that the Planmeca Emerald™ and Planmeca PlanScan® intraoral scanners are now accepted for use with the ClearCaps clear aligner system. ClearCaps manufactures clear aligners, a new concept for straightening teeth without metal and wires. The aligners are custom-made, clear plastic trays that gently shift the teeth into their desired position. The Planmeca Emerald™ and Planmeca PlanScan® intraoral scanners can now be used with the ClearCaps system. After scanning the upper and lower arches in occlusion, the files can be instantly sent to ClearCaps. This can be done, for example, via the Planmeca Romexis® Cloud transfer service with just a few clicks. “We are very pleased about the possibility to use Planmeca Emerald™ and Planmeca PlanScan® intraoral scans with the ClearCaps system. By using our Planmeca Romexis® Cloud service to transfer the data to ClearCaps, the user can be sure that the transfer is done in an easy and secure way”, says Jukka Kanerva, Vice President for Planmeca’s dental care units and CAD/CAM division. "Scanning impressions is seeing a huge growth among our doctors working with ClearCaps clear aligners. It makes the process of manufacturing their custom-made Caps and the 3D setup much faster and more efficient. 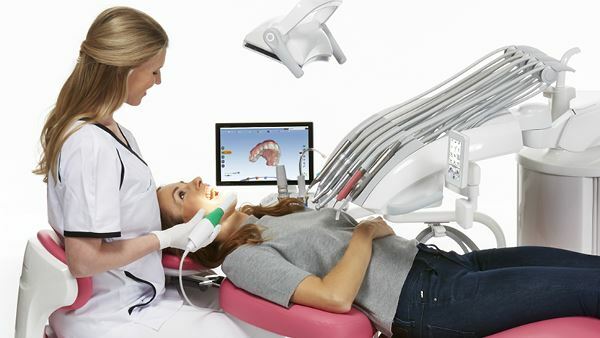 Planmeca’s intraoral scanners allow GP's and orthodontists to maximise their workflow efficiency and offer their patients the best possible experience with state-of-art equipment. These are truly exciting news to close the year 2017 with, and we are thrilled to start the New Year with a cooperation with Planmeca", says Jesse N. Bartels, Territory Manager for ClearCaps. Planmeca Oy is one of the world's leading dental equipment manufacturers with a product range covering digital dental units, CAD/CAM solutions, world-class 2D and 3D imaging devices and comprehensive software solutions. Headquartered in Helsinki, Finland, Planmeca’s products are distributed in over 120 countries worldwide. With a strong commitment to pioneering innovations and design, it is the largest privately held company in its field. Planmeca Oy is part of the Finnish Planmeca Group, which operates in the field of health care technology. ClearCaps manufactures clear aligners, a new concept for straightening teeth without metal and wires. ClearCaps uses custom-made, clear plastic trays that gently shift the teeth into their desired position. These caps are nearly invisible, comfortable, removable and predictable. The aligners are produced using advanced 3D imaging and printing. Each treatment is simulated beforehand in 3D software. The company is based in Dublin with manufacturing facilities in Germany.